Fri., May 20, 2016, 1:03 p.m.
CHICAGO – In an unprecedented move, city attorneys on Friday offered to admit to a federal jury that a code of silence exists in the Chicago Police Department if it meant Mayor Rahm Emanuel would not have to testify about it at the upcoming trial involving two whistleblower cops. But U.S. District Judge Gary Feinerman rebuffed the idea, saying he was standing by his ruling earlier this week that Emanuel must take the witness stand to answer questions about the code of silence. Feinerman said that even though he was “reluctant” to take up the mayor’s valuable time and cause a media circus by having him testify, he believed Emanuel could offer “much more texture” to the existence of the code of silence if he testified about it rather than have the city’s lawyers offer a written stipulation. 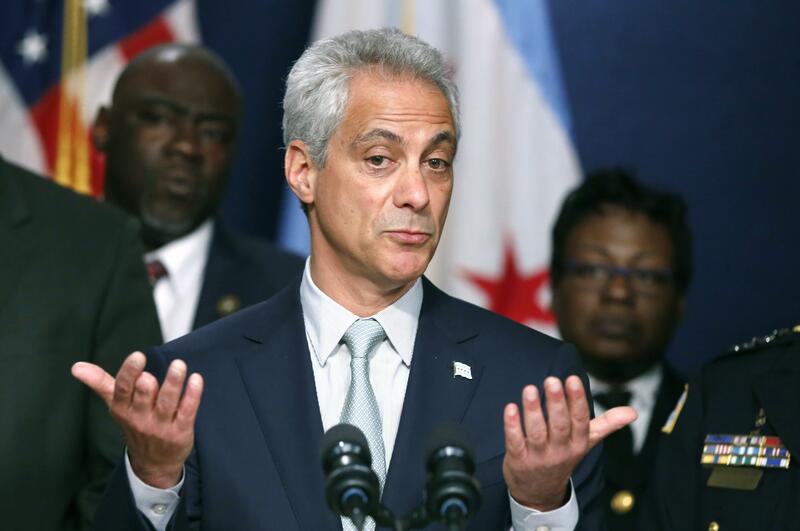 Feinerman said he agreed with attorneys for the whistleblower cops that the mayor’s testimony “would provide further evidence of an unwritten policy and practice.” Emanuel could “speak to the pervasiveness of the problem,” the judge said. The ruling was a blow to the city, which has fought tooth-and-nail to keep Emanuel from having to take the witness stand. In a speech to the City Council, the mayor acknowledged the police code of silence amid the deepening scandal over the fatal shooting of black teenager Laquan McDonald by a Chicago police officer. A spokesman for the city’s Law Department had no immediate comment Friday. The trial, set to begin May 30, involves a civil rights lawsuit brought by Chicago police Officers Shannon Spalding and Daniel Echeverria over allegations they were blackballed by the department for cooperating with the FBI in an investigation into a corrupt tactical team led by Sgt. Ronald Watts. The two alleged that when supervisors learned of their role in the undercover investigation, they called them “rats” and passed along that sensitive information to others in the Police Department. They were removed from their unit assignment and shuttled around the department to lesser jobs far from their homes and at bad hours, according to the lawsuit, which names the city and a dozen high-ranking officers as defendants. When they complained to supervisors about the alleged retaliation, one told them, “Look, everyone is against you, so you don’t want to piss me off,” they alleged. Published: May 20, 2016, 1:03 p.m.